Help is Here. Call Us Today! Keyes to Health offers our patient form(s) online so they can be completed in the convenience of your own home or office. Welcome to Keyes to Health! We are your Chiropractor, Acupuncture, Massage Therapy and Custom Orthotics Health Centre in Pickering and Ajax! You have arrived at the Keyes To Health Website because you are searching for relief from pain. This clinic treats people in pain: acute and chronic, back pain, neck pain, and in fact pain arising from the muscles, joints, tendons and ligaments anywhere in the body. Pain can be due to car accidents, work injuries, sports injuries or just the wear and tear of daily living. We are conveniently located in Pickering, ON, and close to Ajax and Scarborough, ON; Same-day appointments are available. After-hours care is available. We have been serving patients in Pickering since 1997. We provide safe, actionable, effective interventions and solutions to treat your pain. 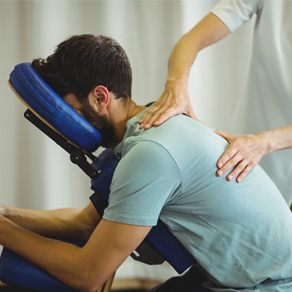 These may include Chiropractic, Acupuncture, Registered Massage Therapy, Custom Orthotics (arch supports), and Nutritional Counselling services. 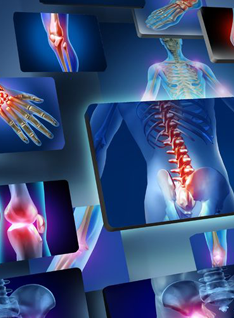 We provide evidence-informed front-line care for joint and muscle pain. Most group health benefit plans cover our services. Accident claims (car accident or work-related WSIB injuries) are covered Day One without the need for a medical prescription. If you are new to our website, please feel free to discover and learn about health and wellness. If you are interested in starting your journey towards wellness please subscribe to our award winning newsletter. If you are already a newsletter subscriber, please explore the member wellness section of our website for wellness articles, resources, and health facts---specifically targeted by Dr. Warren J. Keyes to your wellness needs and interests. For the Month of March Patients Receive a Free Gait Analysis! You may be two feet away from relief! Dr. Keyes is a registered provider on the Trauma Resource Directory. Please click on the TRD logo for more information. Dr. Keyes is great; friendly and professional. When I first walked into the office I was stuck in a hunched over position and couldn't move without severe pain being involved. I had to see him a few times a week at first but it gradually became less and less until now I go once a month to keep it in check. I also like to see Nicole (RMT) for massages, she gives a strong massage and gets all my muscles to relax. Between the two I have full range of motion and have been pain free for over a year now without the use of medications. I can't thank them enough!